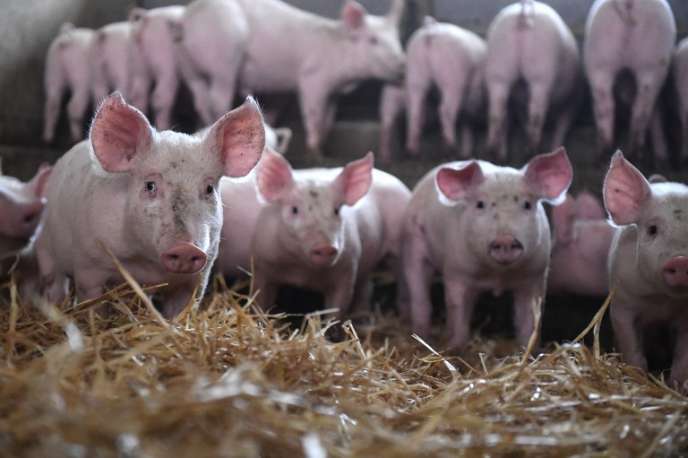 Following the confirmation of two new cases of African swine fever in Belgium on 9 January, the French government announced the establishment of a national crisis unit. Sus wild boar! The French government is setting itself in battle order to eradicate wild swine in an area of ​​80 square kilometers, located mainly in the department of the Meuse and especially close to the Belgian border. It is indeed one kilometer away, in Belgium, that two wild boars with African swine fever were reported on 8 January. "An additional step was taken on January 8 with the detection of two positive cases in the immediate vicinity of the French border, and this is hardly reassuring", said Friday, January 18, Loïc Gouello, Inspector General of Veterinary Public Health and appointed Director of the National Crisis Staff, January 14. That day, farmers, hunters, forest managers and health authorities had been invited to the Ministry of Agriculture to mobilize against a danger that has never been so close. The first alert launched by Belgium dates from September 13, 2018. The "flat country" was discovered affected in turn by African swine fever. This animal haemorrhagic fever is not dangerous for humans but is deadly for contaminated pigs or boars. Above all, we do not have a vaccine today to fight it. It first appeared in Eastern Europe in 2014. The first outbreaks were discovered in Poland and the Baltic countries. Then, the virus spread to Romania, the Czech Republic, Hungary, Bulgaria before reaching Belgium. He also hit China. With the discovery of cases in Belgium, France began to worry. Especially since September 2018, the Belgian authorities have recorded 345 wild boars affected by the disease near the Franco-Belgian border. The Belgian government has undertaken to install fences to stem the phenomenon. The work should be finished in a week. But the two cases detected in January were outside the so-called secure perimeter. Hence the decision of the French Ministry of Agriculture to build a new fence in France about 6 kilometers from the Belgian border. With a first step: encircling the white area. It should be done within eight to ten days, according to Mr. Gouello. Then the fence, 1.5 meters high and sunk 50 centimeters into the ground, should extend 16.7 km north and 57.6 km southeast. The investment would be "Several million euros"Mr. Gouello affirms, while recognizing that this barrier is not waterproof since it stops at the entrance of the villages.